The following special discount room rates will be offered exclusively only to the HUPO 2016 congress participants. Participants must download reservation form through the congress accommodation webpage, and then send it to the chosen hotel directly after filling out the form to make confirmation on reservation. Please be noted that, there is limited number of rooms and the special rates obtained are valid until August 15, 2016, so it is highly recommended to make your reservation as early as possible. For cancellation policy, please refer to each hotel directly. Each association should take the responsibility for no show charge penalty. If you booked accommodation, the hotels have made reservations, charged credit cards and sent hotel confirmation emails. 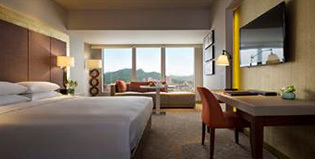 Grand Hyatt Taipei, located directly adjacent to Taipei 101, Taipei World Trade Center and Taipei International Convention Center, is the ultimate choice for both leisure and business travelers with numerous shopping and entertainment venues nearby. All room rates are subject to 5% government tax and 10 % service charge. 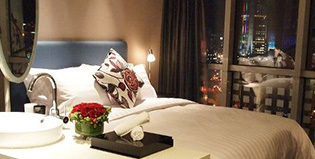 Conveniently located in the eastern district of Taipei, the Courtyard Taipei is built on top of the Nangang 4-in-1 Station and within a 5-minute drive from Taipei Nangang Exhibition Centre. This newest hotel in town features 465 rooms, all-day dining service, exquisite banquet and conference halls. 1 way taxi shuttle per day from hotel to congress venue. Howard Plaza Hotel Taipei proudly offers 606 guest rooms decorated and finely furnished with elegant Rosewood furniture and equipped with all the modern amenities for your comfort. The first hotel to receive both ISO22000 and HACCP accreditations. San Want Hotel features a wonderful location for seeing the highlights of the city. It is located in the heart of Taipei's business district. Not only does the area offer wonderful shopping and eating experiences, but the hotel is just minutes away from the Taipei Convention Center and Taipei Sport Center. All room rates are subject to 10 % service charge. The urban retreat of Taipei 101 and Taipei World Trade Center (TWTC) in XinYi business district, Pacific Business Hotel embraces the Eastern and Western cultures, blends with Art Nouveau taste, presenting an ultimate enjoyable atmosphere for your stay. AT is strategically located close to TICC, 101 Tower for your business appointments; and Night Market for you to enjoy the variety of delicious Taiwanese local foods and the fascination of Taipei night life. 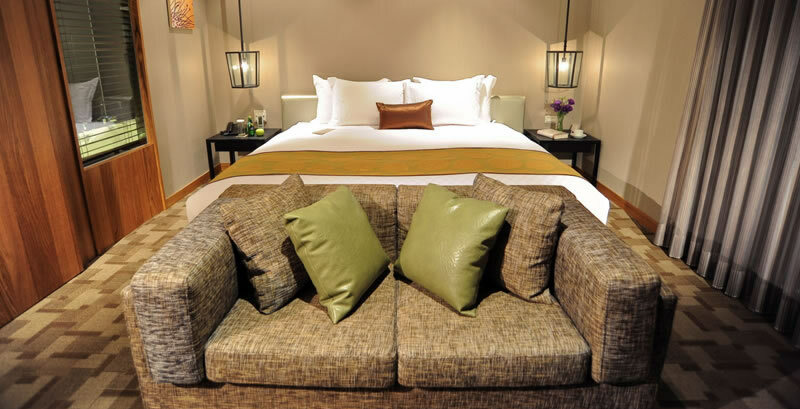 These make AT Boutique Hotel the best choice for both leisure and business travelers alike. Howard Civil Service International House is located at the cultural and business hub of Daan District in Taipei. Featuring convenient transportation access, Howard Civil Service International House offers a safe and comfortable environment, outstanding star-rated hotel service is also provided. 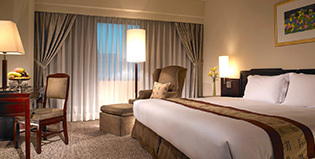 All room rates are inclusive of 5% government tax and 10% service fee.